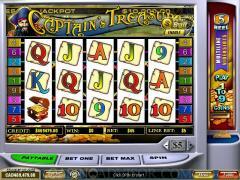 Captain’s Treasure is a new game by Playtech that can be played at any casino that supports their new generation software. The game has 5 spinning reels, and there are 20 paylines, which mean that the player has more chances of winning with this game. This game has become incredibly popular ever since its launch, which is mainly because the game is so versatile. 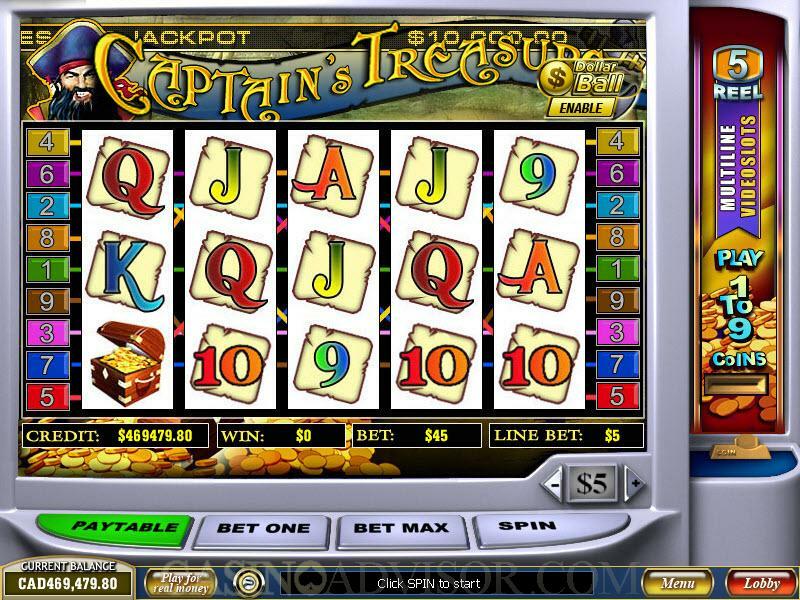 The game is based on a pirate’s theme, which is a very popular theme for slot games. It is also a treasure hunt, where the player is on board with the captain and his crew of pirates. The game is mainly aimed at the low rollers, because of the very low coin denominations. With a minimum bet of $0.01, this game is ideal for those who want to make some money, but do not want to gamble too much. The maximum bet of $100 per spin means that it also sparks the interest of many medium gamblers as well. 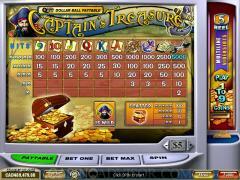 The game of Captain's Treasure is offered for free at many online casinos, but for players who actually want to make money playing this game, they will have to play the real money version of the game. The real money version uses coins with varied denominations depending on the amount that the player would like to bet. The minimum coin size is $0.01, and the maximum is $5. Players can choose to make a wager that is limited to one coin per pay-line. As the player increases the number of activated pay-lines, his/her chances of winning are greatly increased. The maximum bet per spin is limited to $100. The game has 39 possible winning combinations, which is fairly high for a slot game. Many of these winning combinations are derived from various arrangements of the regular symbols. Players will need a minimum of 3 regular symbols in any pay-line to ensure that he/she has a winning combination. The game has nine regular symbols which are playing cards with face values ranging from nine to ace. Apart from these, the other regular symbols are the Swords, Treasure Map, Anchor and Wheel symbols. These symbols are the ones that appear most commonly on the reels. Captain’s Treasure also has a wild symbol which is the Captain symbol. The wild symbol can only appear on the second, third and fourth reels. This symbol can substitute for all other symbols to form a winning combination. The difference in this game is that unlike other slot machine games, the wild symbol can also substitute the scatter symbol to complete a scatter winning combination. Regardless of the number of wild symbols on the reels, the player’s payout for any combination that is completed using a wild symbol is automatically doubled. 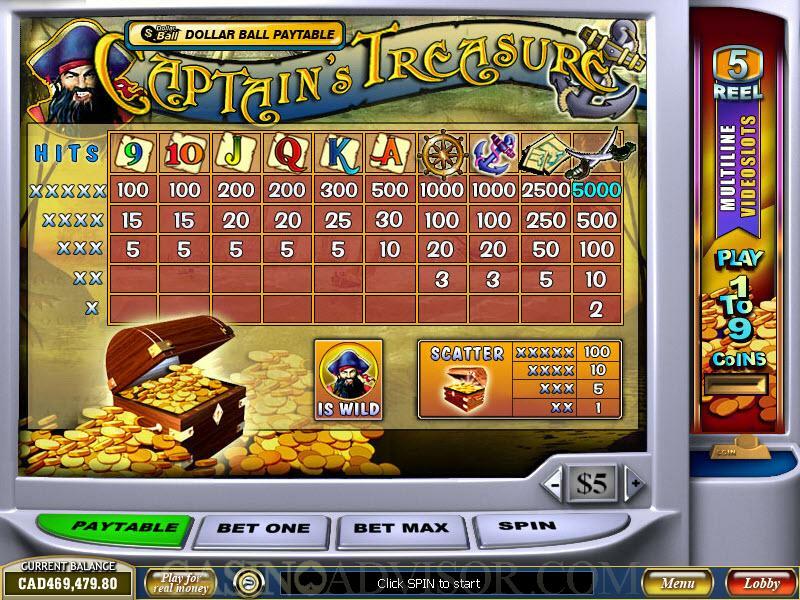 The scatter symbol in Captain’s Treasure is the Treasure Chest symbol. This symbol can appear anywhere scattered on the reels. When this symbol appears twice or more times, then the scatter winning combination is complete. This scatter winning combination will give the player a payout of 1x, 5x, 10x and 100x the triggering bet depending on whether the scatter symbol appears twice, thrice, four times or five times. Interested in reading more detailed information about Captains Treasure? If so Click Here for more details.